How do I play with my child at the Children's Museum of Findlay? 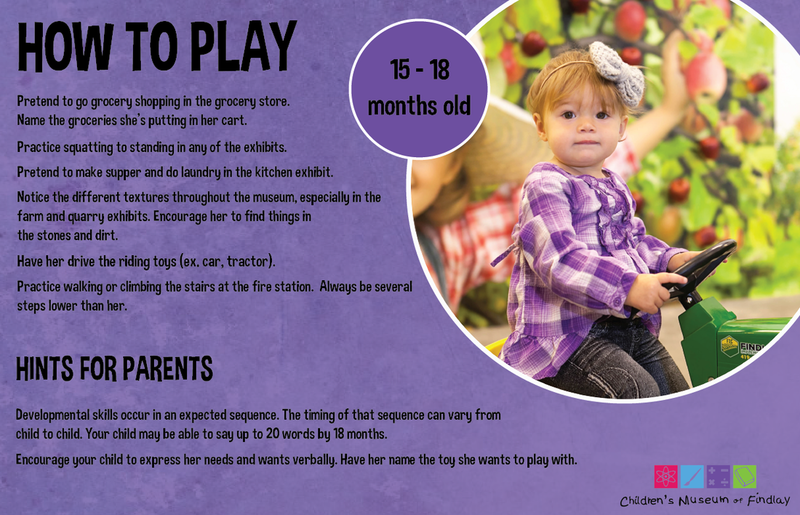 Kids learn through play. 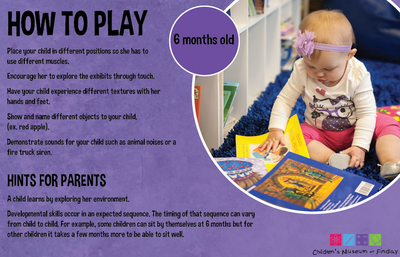 When you know the developmental markers your child should be reaching at certain ages, and know how to play with them best in order to meet those markers, you're getting the absolute most out of your CMF experience! 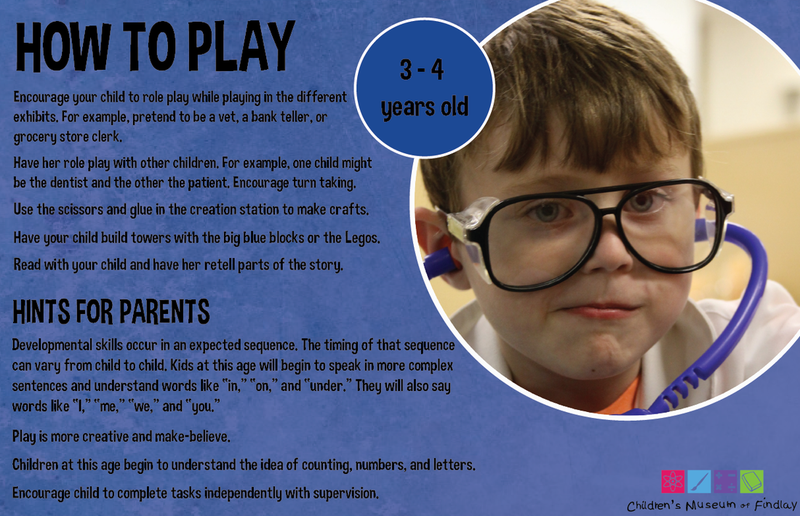 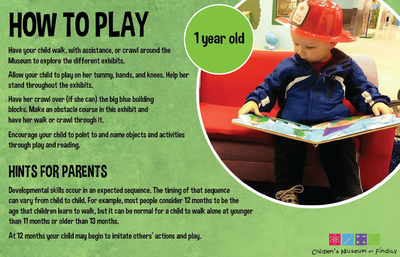 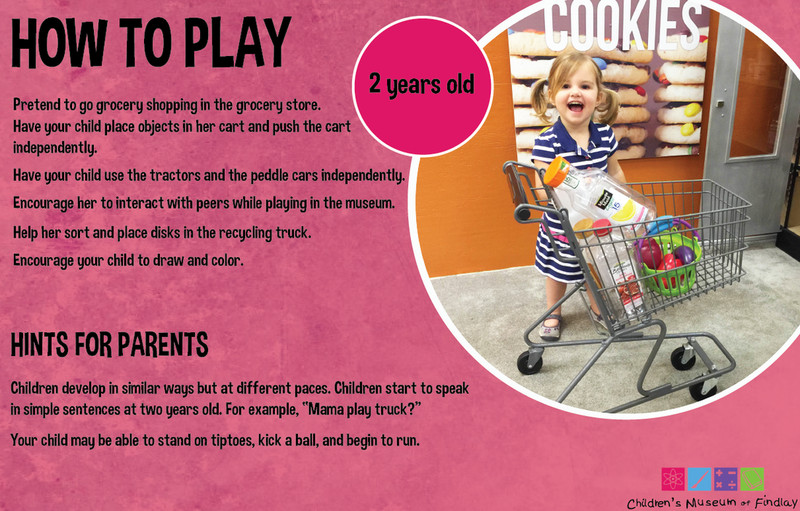 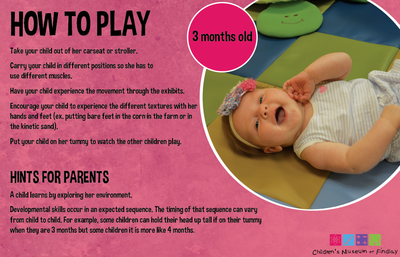 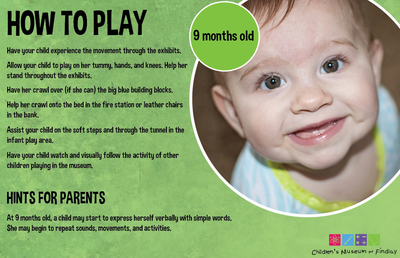 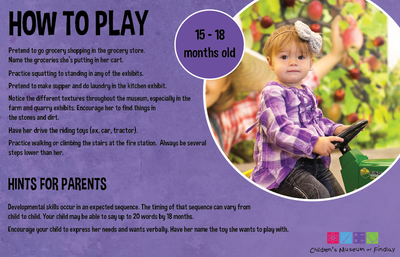 Please explore these graphics to get an idea of how to play with your child at CMF. 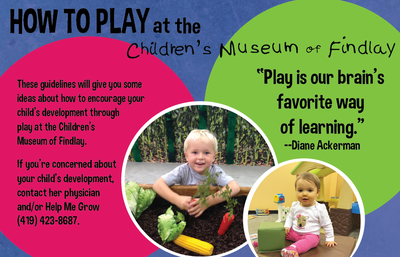 For more information regarding your child's growth and development, check out Help Me Grow.